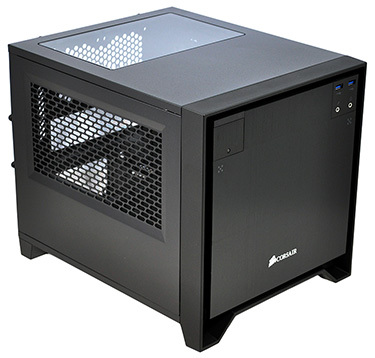 Corsair has finally made the move into Mini ITX with the Obsidian Series 250D, unveiled last week at CES 2014. The small-form-factor chassis is Corsair's smallest to date and is making its way to retail stores priced at $89.99 in the States and £71.99 in the UK. That's roughly on par with the rival BitFenix Prodigy and less than half the price of the EVGA Hadron Air (which, remember, includes a PSU as standard). 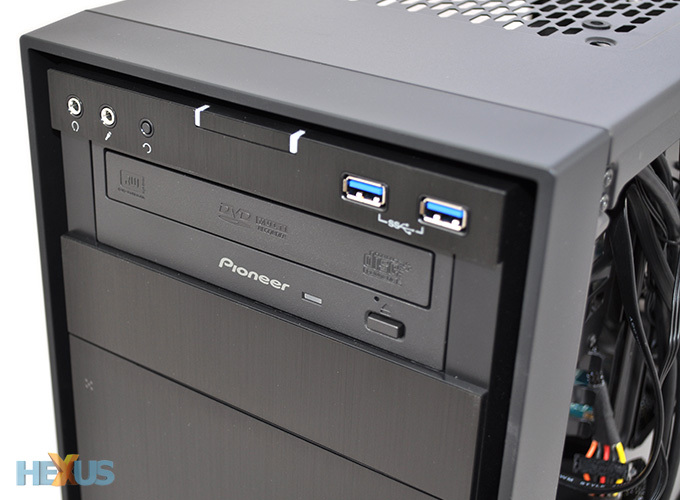 Corsair is playing catch-up in this area of the market, but having developed a reputation for producing quality cases, the 250D is well-positioned as the US manufacturer's small-form-factor debut. 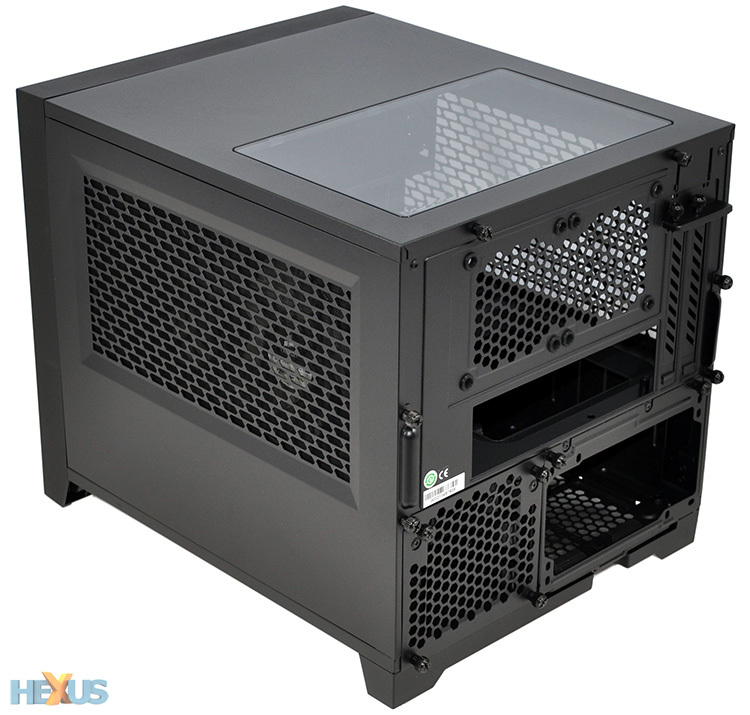 Sounds mighty promising for anyone planning to downsize to Mini ITX, but when we met the Obsidian Series 250D in person, our initial impression was somewhat unexpected: for a small-form-factor chassis, this isn't actually that small. Measuring 290mm (H) x 277mm (W) x 351mm (D), the 250D is a peculiar size. It looks too slight to be placed on the floor underneath a desk, while at the same time a tad too large to sit on the desktop alongside a monitor. 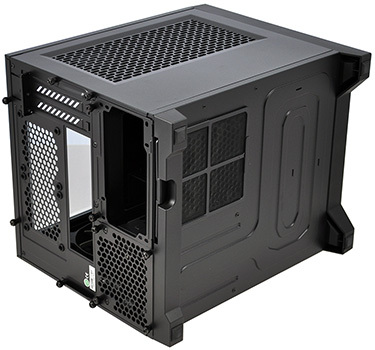 We were hoping that Corsair would push the boat out to deliver an ultra-compact enclosure, but perhaps we shouldn't be surprised. 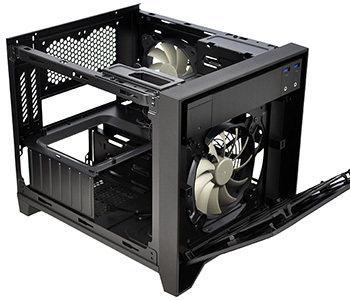 The Obsidian Series has always targeted enthusiast users, and as a purveyor of high-performance components, Corsair's first Mini ITX case is more about maximising small-form-factor performance than it is about saving space. In the company's own words, the "250D supports not only many of the more popular performance Mini ITX motherboards, but also a wide range of full-size high-performance components, including many of Corsair's Hydro Series liquid CPU coolers, allowing users to push their PC to the limit." And herein lies the dilemma. Corsair could have made a smaller enclosure, and we suspect it will as Mini ITX grows in popularity, but right now the manufacturer evidently doesn't want to sacrifice support for its own Hydro Series liquid coolers and ATX power supplies. Understandably so, but as a consequence the 250D won't be to everyone's tastes. Users wanting to marry Mini ITX to high-end cooling and legacy components will naturally gravitate toward Corsair's box, while those wanting to build an ultra-mini PC will find smaller solutions elsewhere. 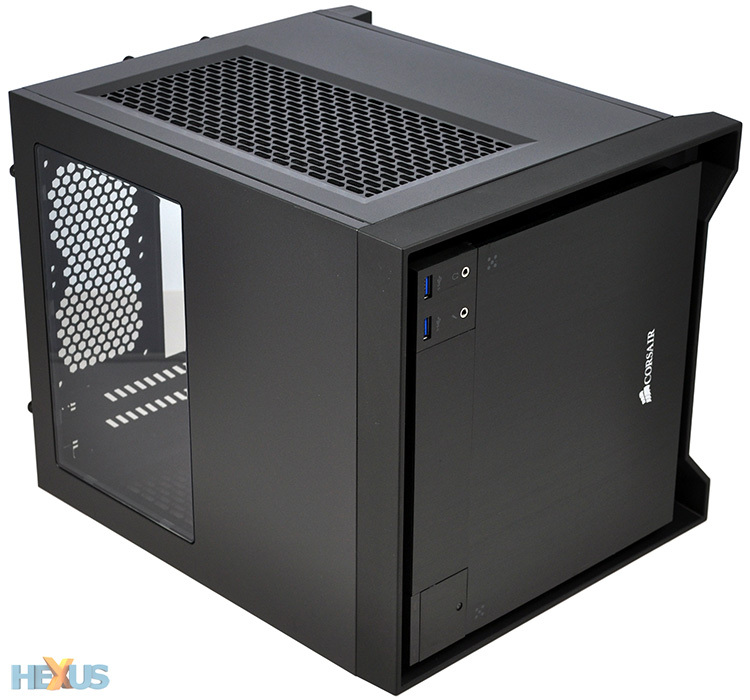 Like a fair few other high-end Mini ITX enclosures, the latest Obsidian feel like a stop gap. It's great if you want to build a high-performance rig around a Mini ITX board and your existing hardware, however it doesn't necessarily meet our expectations of a modern-day SFF rig. 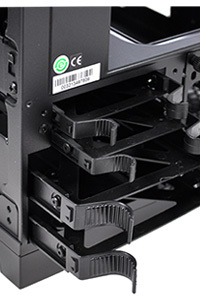 In search of a smaller, tidier computing experience, we feel it's time to drop support for hefty ATX power supplies, optical disk drives and 3.5in storage bays: such components were designed for bigger machines and ultimately serve to hamper SFF PCs. On the contrary, Corsair believes that high-performance users aren't yet willing to compromise. 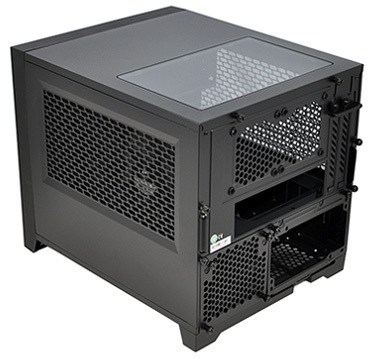 Aiming to accommodate a wide range of components, the 250D supports a full-size 5.25in optical drive, a full-size ATX power supply, two 3.5in hard drives, two 2.5in SSDs, a graphics card measuring up to 290mm in length, up to five chassis fans and, last but not least, a 240mm radiator. An impressive array of possibilities, and it's all wrapped in a familiar Obsidian Series package. Corsair has retained the 'floating front' aesthetic, where a brushed aluminium cover adorns the front cover of an otherwise steel frame, and from a visual perspective, it's nice to see continuity between the 250D, 350D, 750D and 900D. The I/O panel has been kept simple - two USB 3.0 ports are joined only by audio and microphone jacks - while the power and reset buttons are positioned to the left of the optical bay. 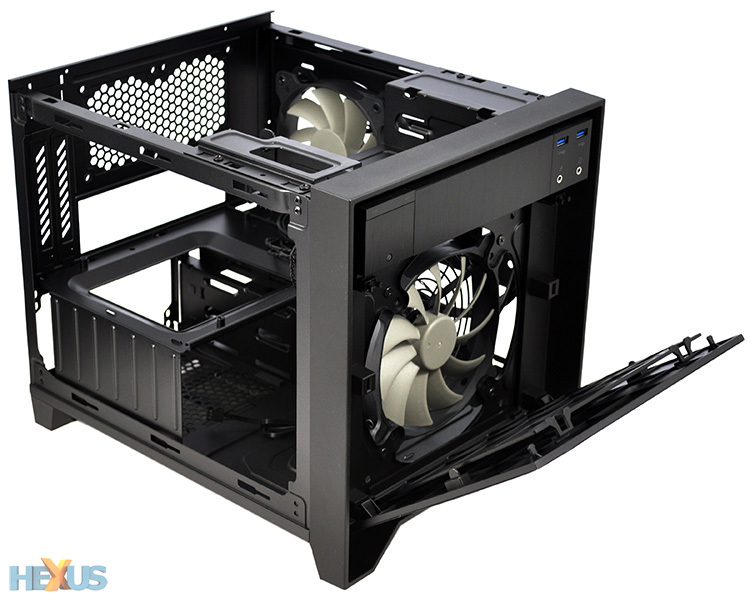 This layout works well and has allowed Corsair to tweak the 5.25in bay so that an installed drive sits flush with the rest of the chassis. A marked improvement on the 350D, which looked awkward with an optical drive in place. 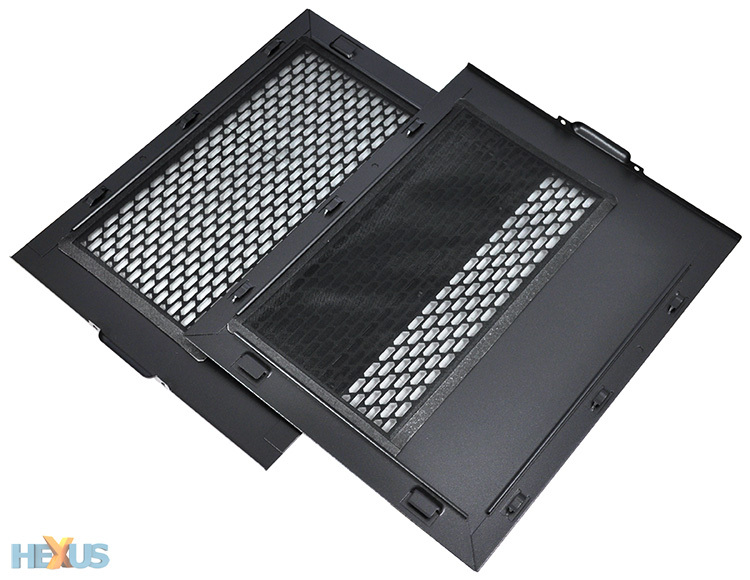 Build quality is good throughout, and the customary Obsidian window is neatly integrated into the top panel to show off the hardware that lies beneath. The overall effect is smart and tidy, yet the dimensions of the box make it a little too bulky for our liking. 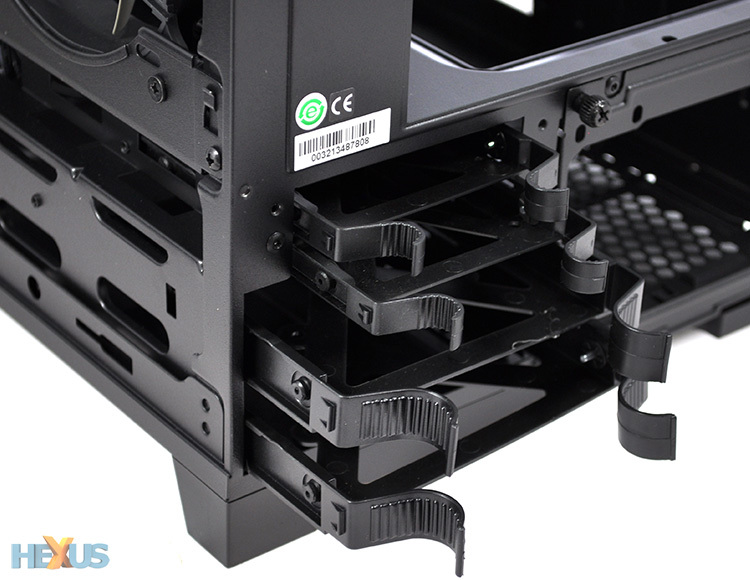 What we really appreciate, however, is the fact that the chassis can be fully opened up to aid the build process. 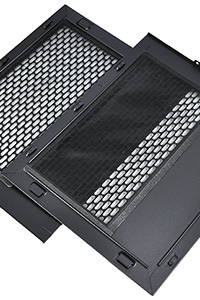 Undoing half-a-dozen thumb screws allows the top and side panels to come away - the latter two are equipped with mesh inserts - and the filtered front cover uses a push-to-release mechanism to reveal access to the primary intake fan. This level of accessibility makes the 250D very comfortable to work with, and it's when you get inside that you begin to acknowledge what the chassis has to offer.